Everyone loves a great collection of books. When we have visitors, they spend a lot of their time checking out each and every book we have in our collection — there are so many things about the feel of libraries that make us want to stay there forever. So why not combine a place we go every single day, with a place we never want to leave? 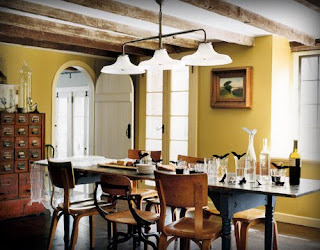 Check out some more great examples of Library Dining Rooms.